Data Recovery Service in Hyderabad and Secunderabad, Computer, MacBook, Desktop, PC, Laptop Hard Disk Drive / HDD media Data Recovery services for HP, Dell, Lenovo, Apple, Acer, Asus, Sony, Toshiba at best price. Have you lost your data during any power fluctuation issues or hanging issues? Please don’t feel too much panic, our expert Service Engineer will recover your data with excellent procedures. We at Laptop Repair World, Secunderabad have been established with great level of service quality and won the trust of huge numbers of clients over the Hyderabad and Secunderabad area. If you are looking for a long term expert Hardware service provider, then your journey would be finished here with assured service with best price. Our service features are described as follows. Our data recovery procedure is completely secure with an external backup device and Service Engg will recover data in a faster way efficiently. Absolutely, 100% data will be recovered once we will receive your media or hard disk. 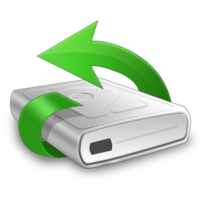 The data recover process can be done at your place or at our office. Our Service staff will accomplish the same. According to our experienced Service Engineering, we assure you of guaranteed satisfaction of data recovery service or other backup service. Our support department works 24 x 7 hours in a week and will arrange an instant solution for your any emergency technical problems. Our expert engineers conduct Data recovery services within the lowest possible time through implementation of their expertise knowledge. This is their standard of service. We don’t charge extra for testing of media apart from a data recovery service or backup service.